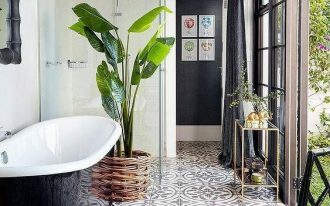 In choosing the design of particular room, we often have specific style we look forward. 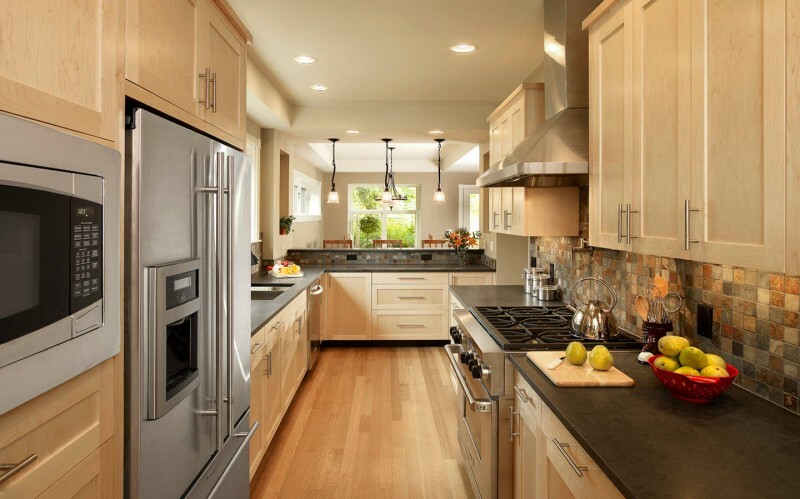 Kitchen is a good example where we usually demand specific details for its design. 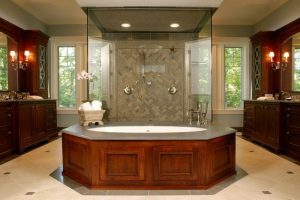 Hence, slate backsplash is one of kitchen detail which some people want to remodel their kitchen. 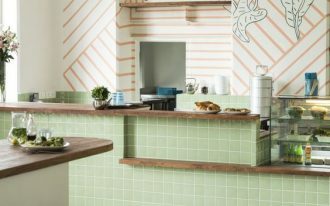 Moreover, slate backsplash is provided in varied colors and shapes. 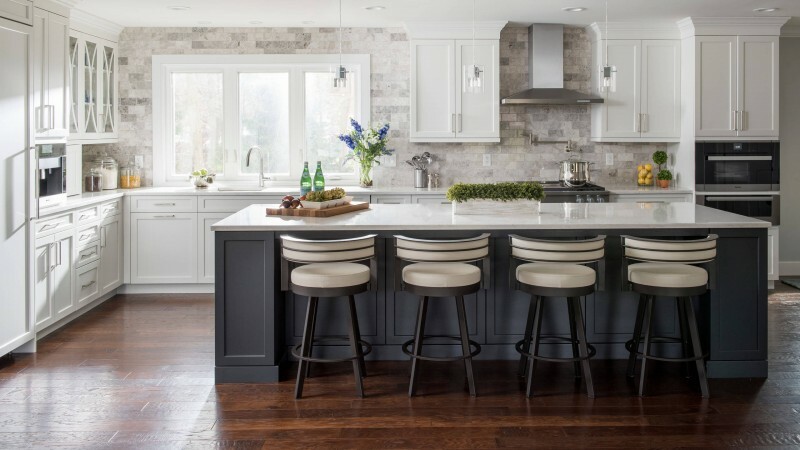 Here are ten kitchen with slate backsplash that can be your inspiration. 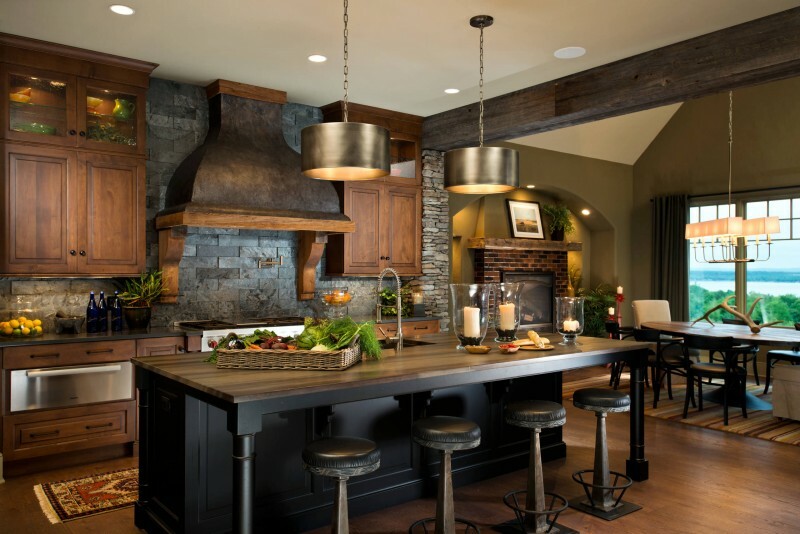 Here is rustic eat-in kitchen with slate wall, slate backsplash and wooden dining table. The backsplash is custom with decoration under metal hood range. This kitchen also has dark wood cabinet that is in line with the color of the floor along with the stainless steel appliances. Lastly, it is also completed with island, bar stools and unique pendant lights above it. 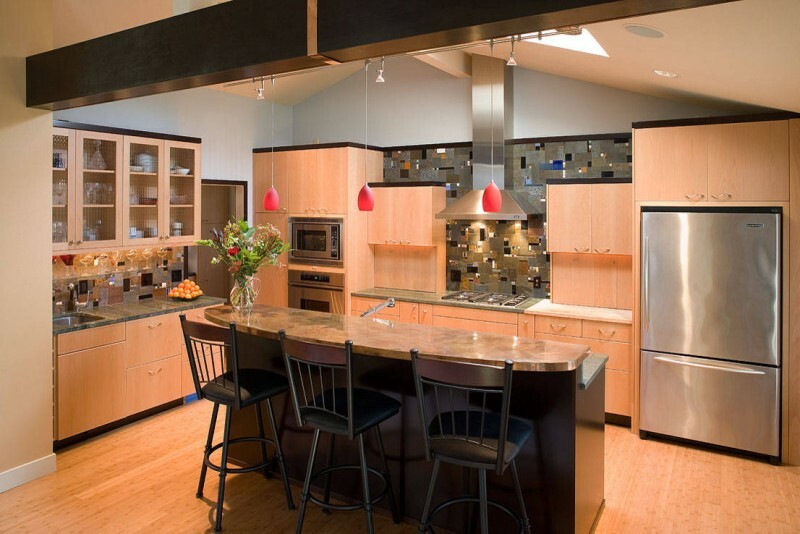 This modern kitchen bar has light wood shaker cabinet that color the same with its floor. It has tiled multicolored slate backsplash and installs black granite countertop. 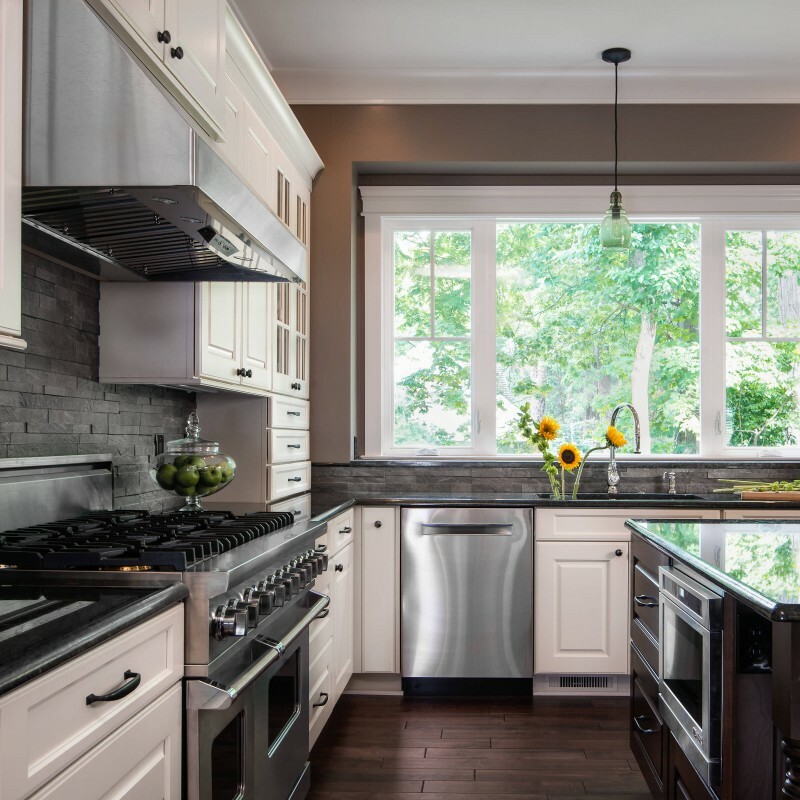 The stainless steel appliances perfectly match the cabinet making this kitchen so adorable. 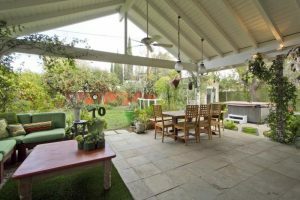 It is a transitional bar kitchen with eat-in space overlooking the outdoor view. 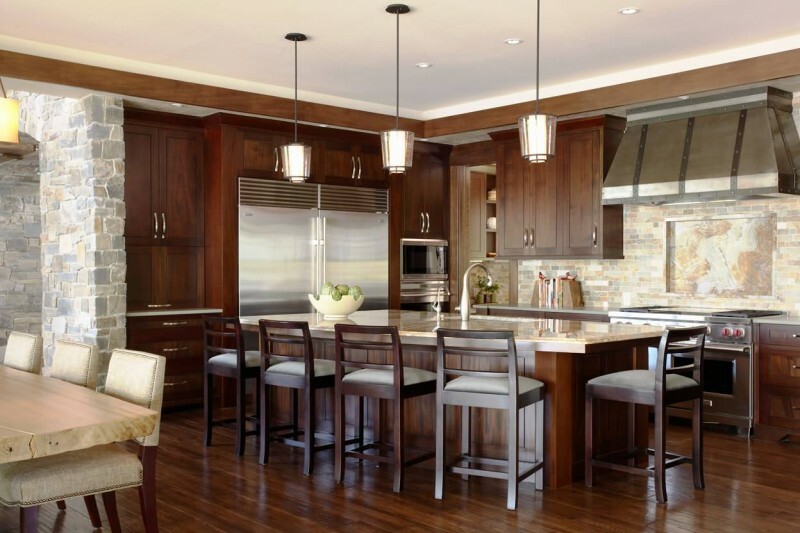 This kitchen looks so elegant with dark wood cabinet and hood. Moreover, the black tiled slate backsplash add the quality of beauty for this kitchen. 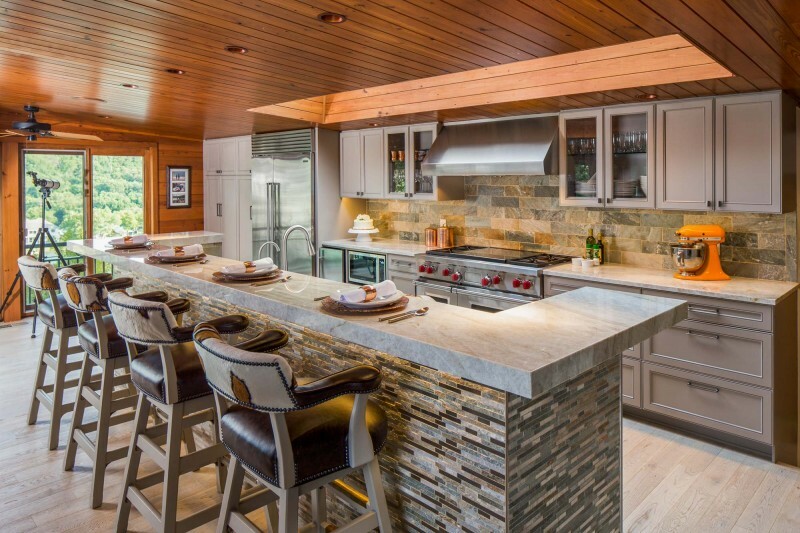 The island with brown granite looks simple yet luxurious with the drum lights above it. The eat-in space is directly overlooking the warm brick fireplace. 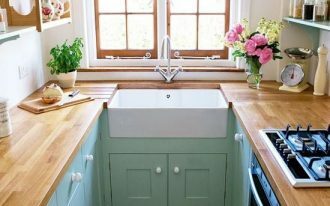 Traditional farmhouse kitchen with exposed beams and traditional cabinet looks so elegant with the colored backsplash. 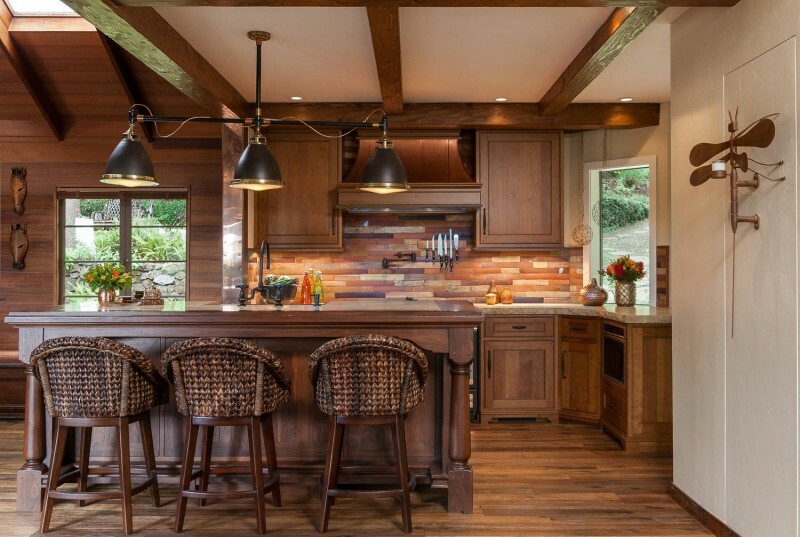 It has wood wall, island, bar stools and the pendant lights in the same color. Everything here is clean and warm. This kitchen also provides you with the inspiration of having black tiled slate backsplash combined with white shaker cabinet. To add the contrast, the black granite countertop is applied along with the stainless steel appliances. If you love white, then this design option could be your preference. This bar kitchen has everything in white: slate backsplash, shaker cabinet, granite countertop, windows frame and the bar stools. 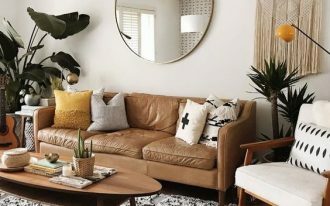 This room is certainly a perfect place to relax. 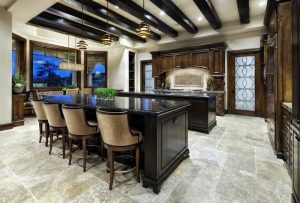 It is another stunning design of home bar kitchen with mosaic slate backsplash, light wood cabinet and stainless appliances including the hood. 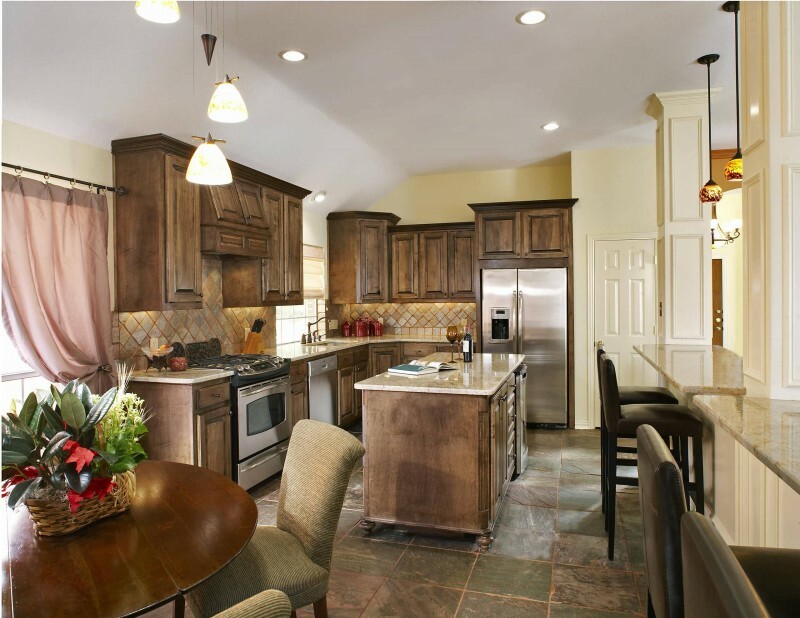 It also has an island with brown granite countertop and adorable red pendant lights. This adorable home bar kitchen also has slate backsplash, tiled black floor, impressive red bar stools and stunning pendant lights. It is designed in transitional space so you can chill here while enjoying the interaction in other rooms. 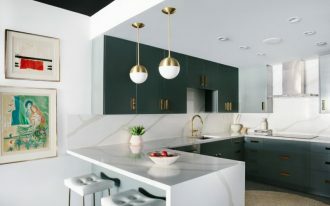 This minimalist kitchen applies different type of slate on the backsplash and the island and the result is undeniably heartwarming. The wooden ceiling also contrasts the gray color of this kitchen. It is a perfect golden match. 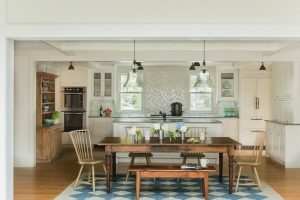 It is a traditional design of eat-in kitchen with stained cabinet and tiled slate backsplash. 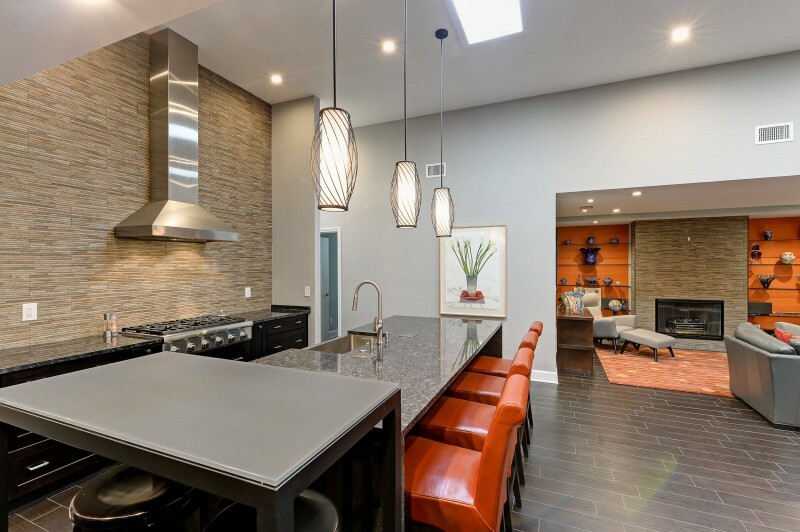 Even though it looks simple, this kitchen is impressively warm looking and comfortable.